Make a small positive change to your lifestyle every day. to help you improve your productivity and motivation. Build good habits. Improve your productivity and motivation. Set and reach your goals. 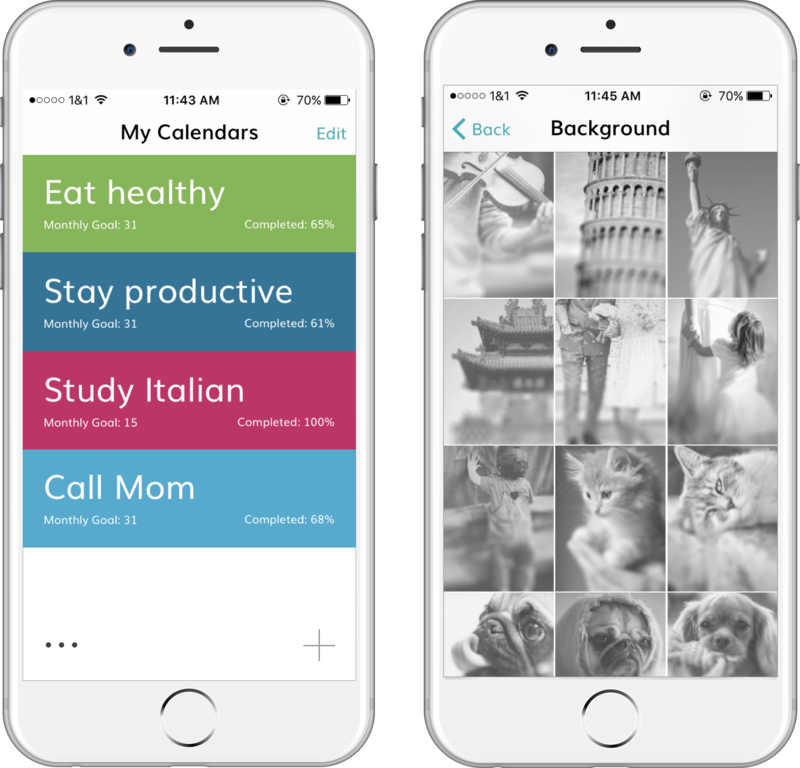 Steady is a simple productivity tool that will change your life for the better by changing your day-to-day habits. It is incredibly simple to use: create a list of goals, personalize your calendars, mark days when you make progress and track your productivity by analyzing your monthly statistics. Reaching goals has never been easier! Steady’s beautiful, simple interface is intuitive and easy to use. We removed all the unnecessary distractions to help you stay focused and determined to build new habits and reach your goals. 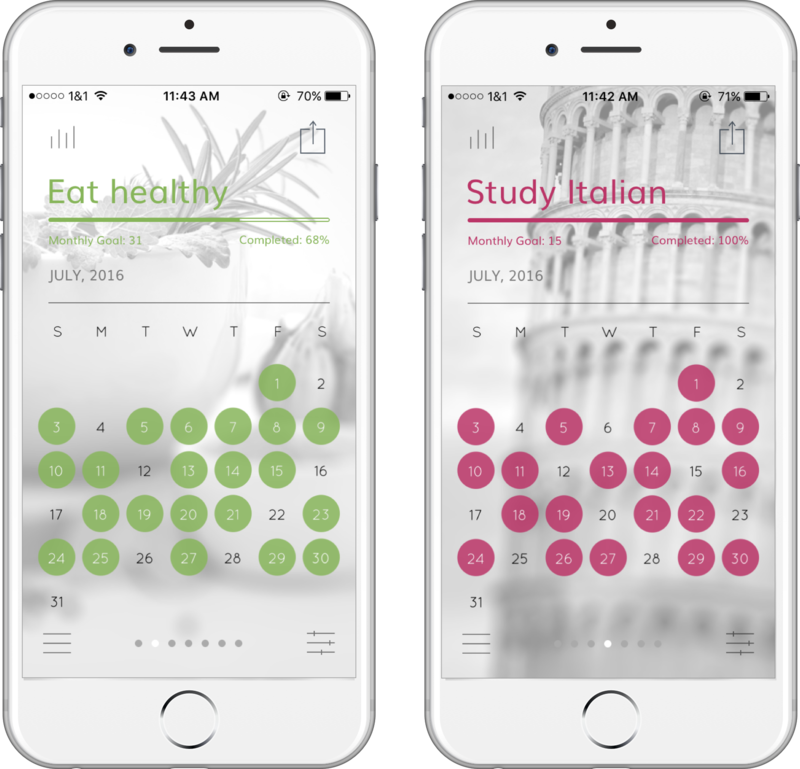 Steady’s productivity calendars are fully customizable. We hand picked over a 100 gorgeous backgrounds and colors to suit any possible goal and habit you may have in life. 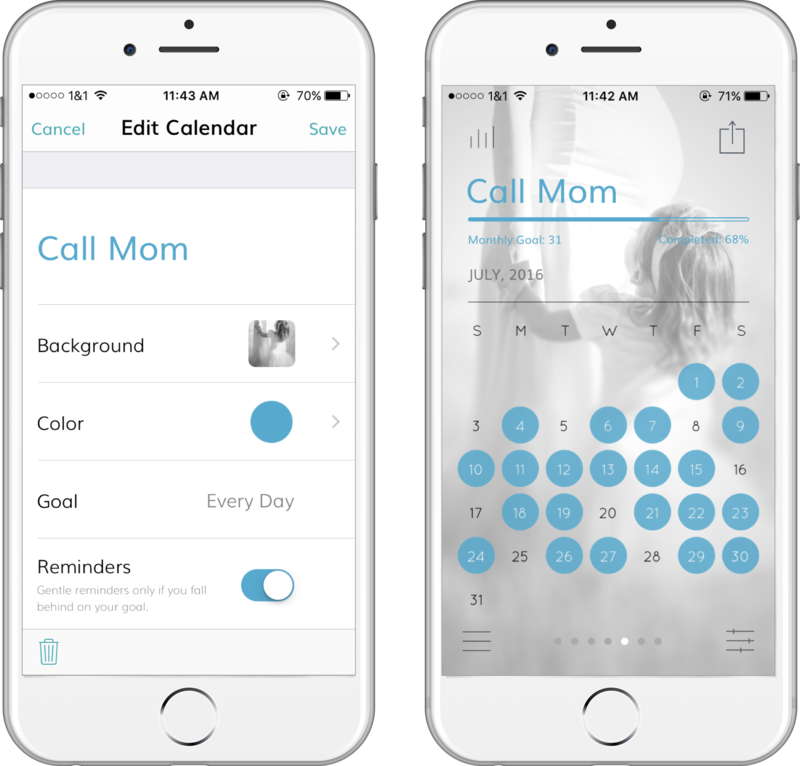 Pick the personalization elements that speak to you and make every calendar your own motivational tool. 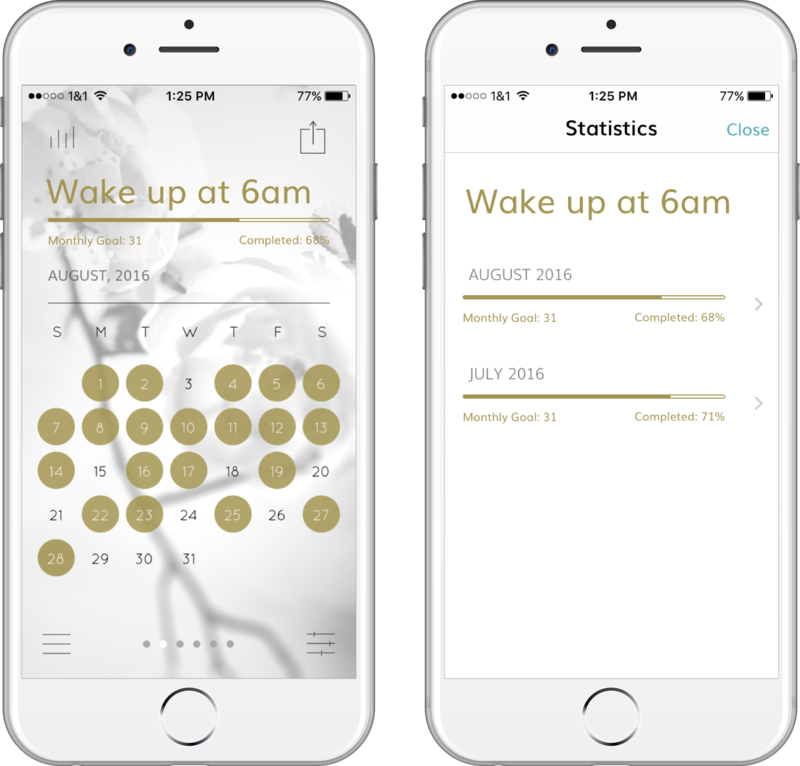 Unlike other habit-trackers, Steady uses proven research in motivational psychology and encourages you to form positive habits with every design element. Steady’s images and colors are carefully picked and serve as visual triggers that will encourage your productivity and motivation. The new statistics screen makes tracking your progress easier. You can easily see how many of your goals are reached and what habits need more work. In addition, a progress bar on each calendar encourages you to reach every goal for the month. Subscribe to get access to our custom newsletter. Receive inspiring, helpful hand-picked articles on productivity, time-management and better living.